The Caged Graves was wonderful mystery. It starts out very slow but I was intrigued enough by the mystery that I stuck with it and the ending made it worth it. I enjoyed the characters and the love triangle was actually somewhat realistic. 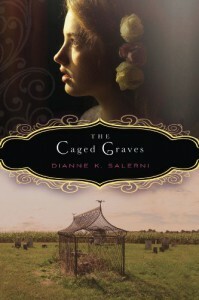 The plot is what kept me reading especially once I read that the caged graves and the women buried in them were real. I recommend this book to anyone who enjoys historical fiction and a good mystery.